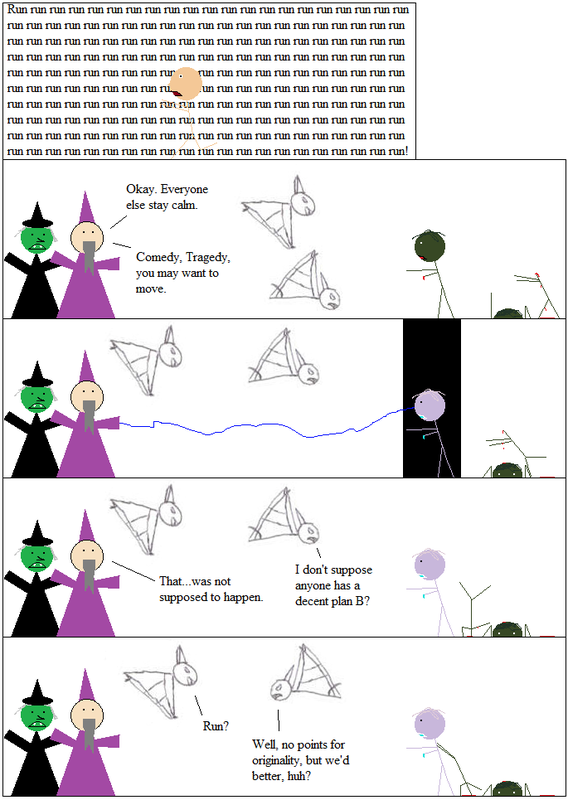 Math lesson for the day: Wizards < Zombies. Apparently. I feel like zombies aren’t supposed to be immune to magic. Poor Yont, though. He thought he had everything under control. For that matter, poor Rick, who seems to go into panic mode amazingly easily around the undead. Who knew? P.S. If you like this comic, tell your friends and/or like it on Stubleupon and other sharing sites. If you don’t like this comic, tell me in the comments, or email me at tnoy@inspiredbytrueevents.org. I’d like to hear your suggestions. P.P.S. I can apparently come up with these lame titles indefinitely. I must only use this power for good. That’s 210 ‘run’s. A suitable amount.